Since the times of ancient Egypt, humans have had a passion for style, decor, and architecture. Amazingly, styles from many of these bygone eras are still enjoyed and are often implemented into our modern decor and architecture. 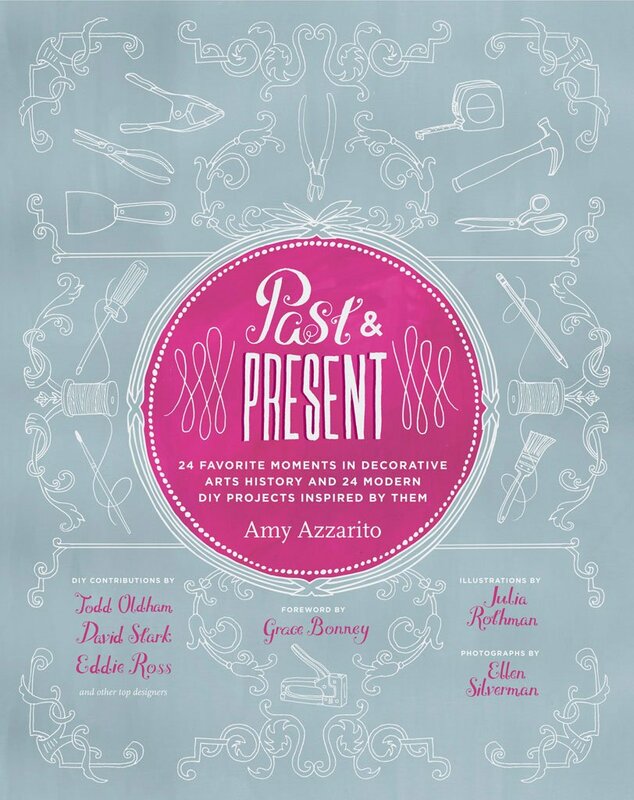 Past + Present is a collection of 24 pairs of essays and craft projects that explore this connection between decorative arts history and present day design trends. The projects have been contributed by some of the best known modern designers of today, such as Todd Oldham, Jonathan Adler, Erica Domesek, Grace Bonney, and David Stark, adding extra allure to an already fascinating topic. The book, which is based on Azzarito's successful Past + Present column for Design*Sponge, takes the academic subject of decorative arts history and makes it accessible, approachable, and engaging to the average design and craft enthusiast. Included here are not just dates and events, but also the stories, passions, and quirky facts behind many great decorative arts movements. Each essay is accompanied by whimsical illustrations by beloved illustrator Julia Rothman, as well as a few representative historical photos when relevant. Each project has been beautifully photographed in a modern home setting, and the instructions are clear and accessible, even to novice DIYers.